PHOENIX, ARIZ. – Fidelity National Title Agency is proud to announce that Erika Elshamy will join its residential sales team as a sales executive at the Litchfield Escrow Branch in Goodyear. Elshamy, who possesses more than 20 years in real estate, has extensive experience in title/escrow and underwriting as it relates to the home buying and selling process. She joins escrow officers and support staff in assisting the firm’s West Valley real estate professionals at 2440 N. Litchfield Rd. She joins Fidelity National Title from HMS Home Warranty, where she served an account executive. Her most recent work experience required her to identify new prospects, implement sales plans, and strategically carry out activities that build rapport to create and maintain lasting relationships. A native of Long Beach, California, Elshamy earned a Bachelor of Science degree in business management from the University of Phoenix. Elshamy volunteers at Feed My Starving Children and participates in activities that benefit the Make-A-Wish Foundation, St. Jude’s Children’s Research Hospital, and The Pat Tillman Foundation. Elshamy and her husband have been married for 17 years and have three children. In her free time, she enjoys working out, reading, and spending time with her family. 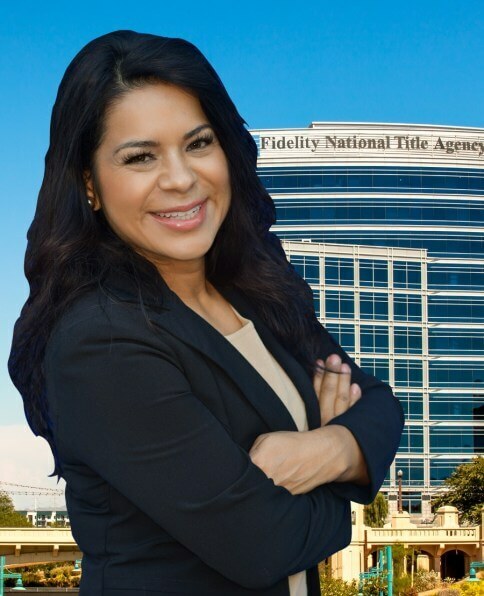 With a proud history of more than 150 years, Fidelity National Title Agency (NYSE- FNF) is one of the nation’s premier real estate service companies. Through its nationwide network of direct operations and agents, Fidelity National Title Agency provides title insurance, underwriting, escrow, and closing services to residential, commercial, and industrial clients, lenders, developers, attorneys, real estate professionals, and consumers. Let Fidelity demonstrate why customers nationwide rely on its experience, service, and financial strength for real estate transactions across the country. For more information visit fntarizona.com.